Victoria Cheng, WG’17, G’17, is pursuing opportunities in new technologies — and when you’re taking the road less traveled, you have to put in plenty of footwork. Victoria Cheng, WG’17, G’17, has always had her eyes on the future. That’s been true since she was a little girl dreaming about technologies that were then the stuff of science fiction, and it’s essential now that she’s a techie aiming to make those technologies real. For Victoria, an entrepreneurial management major, creating the future requires putting in the work now while looking far ahead. That practice brought her to Wharton and Lauder, and it landed her two hard-won internships — one at a Los Angeles e-commerce company, and another at an innovative Shanghai startup. Now after graduation she’ll be joining e-commerce leader Alibaba in Hangzhou, China, for a one-year rotational program. After Victoria’s freshman year at UC Berkeley, she did an internship with a Washington, DC, futurist think tank, looking at solutions for the big problems of the world. Then after graduation and a stint at Deloitte Consulting, she took a sideways turn into mobile gaming, another long-time passion. She had “a lot of fun” making games at a Silicon Valley startup and then a bigger company, but eventually she started thinking even bigger. Victoria returned to one of her long-term interests that was now closer to reality: self-driving cars. 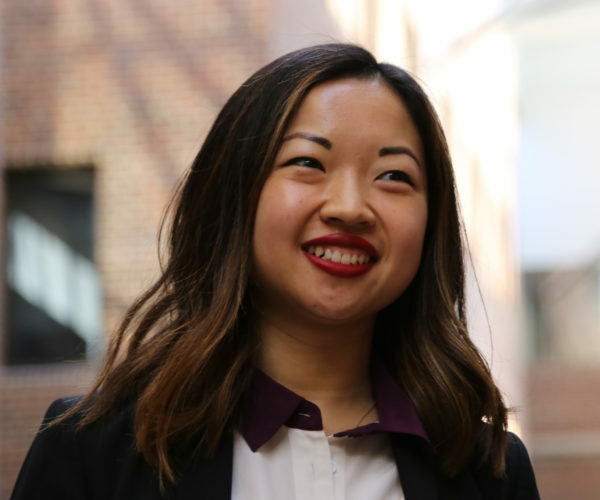 She needed an MBA to gain the knowledge and connections to have a major impact — and she came to Wharton and Lauder’s East Asia Program so that she could make contacts in China, where she wanted to gain work experience. Even after visiting and studying China in depth with Lauder Chinese Language and Culture Program Director Theresa Jen, Victoria had a few surprises during her internship last summer, which shows the impact of on-the-ground experience. Here are Victoria’s proven strategies for recruiting in the frontier of technology — or any less traveled path. 1. Tell everyone what you want. A strategy I recommend — whether you’re looking for internships or a full-time job — is just to tell everybody you meet what you want to do. I tell people I want to go to China to work in technology. I tell people I want to work on self-driving cars and the future of transportation. I tell everybody. 2. Don’t wait until the last minute, even when hiring happens at the last minute. I was working on getting my China internship all through last year. I was talking to all of these different firms in China. It wasn’t spontaneous. It was really about putting in the footwork. 3. Don’t turn down opportunities you want when there is a way to make it work. I got an e-commerce product management internship in LA at The Honest Company, and then my friend’s contact in China offered me an internship at Bits x Bites [a Shanghai startup focused on digital innovation in the food industry]. I did both. I didn’t finalize my internship at Bits x Bites until June or July last summer, and then I flew to China after my internship in LA ended. Now I have a two-pronged path. I could either do tech in China for the next few years or I could go work for either a big car company in Detroit or an automotive startup in the Bay Area. I can choose whatever ends up being the better opportunity. At Wharton I constantly evangelize tech. I’m leading this unofficial program to help First Years get internships and also for Second Years to get full-time tech jobs. Last semester I did an info session about tech, different stages in tech development, and the big hot things in Silicon Valley, like machine learning. This semester we’re doing small group dinners for First Years to connect with Second Years who did tech last year. There’s a misunderstanding that tech startups don’t pay much. People think you have a great lifestyle but you don’t earn a lot money. I’m trying to change those misconceptions. 5. Learn everything you can. This semester in addition to my for-credit classes, I’m auditing Enabling Technologies with Prof. Kartik Hosanagar. When you audit, the professor adds you as an observer on Canvas and you can do as much or as little of the coursework as you want to do. I know a few people who audit, but it’s not that common. I got to know Professor Hosanagar from attending Technology and Entrepreneurship in India, the Global Modular Course in Bangalore. He’s a huge tech guy, super well-connected in the U.S. and in India. Every single class is a different tech topic. For example, he did one on the cloud and how it works. He did one on big data, one on advertising technology. It’s interesting to see each big topic the way that he packages it, from beginning to end. 6. Think ahead five steps, but take one step at a time. After graduation, I will be working for Alibaba at their headquarters in Hangzhou, China. I will be joining the Alibaba Global Leadership Academy, which is a one-year rotational program, after which I will be sent to one of Alibaba’s international offices. I fulfilled the dream that I had before coming to Wharton and Lauder, which was to work in China after school. I want to start my own business someday. It’s all about finding the right idea at the right time and having the right team. I used to do mobile gaming, so if I wanted to start a mobile gaming studio I could do that. That’s not what I want to do now. I can’t very easily start my own car company or just go to China and start a company there. Now is the time to get in there and make contacts and learn as much as I can so I can do that later. 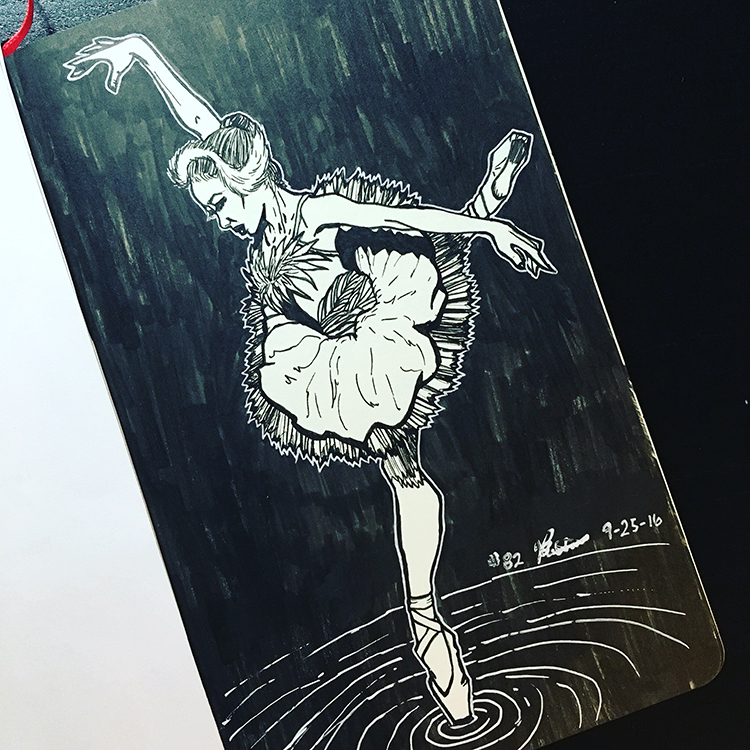 “Last summer I started doing a 365-day drawing challenge where I draw and post a picture on Facebook and Instagram every day. Now I’m in the 200s, and I should finish this summer. The message I want to deliver to people is that our lives are very busy with classes, recruiting, and social activities, but it’s also important for me to always keep an eye on what my hobbies are and what my personal goals are. 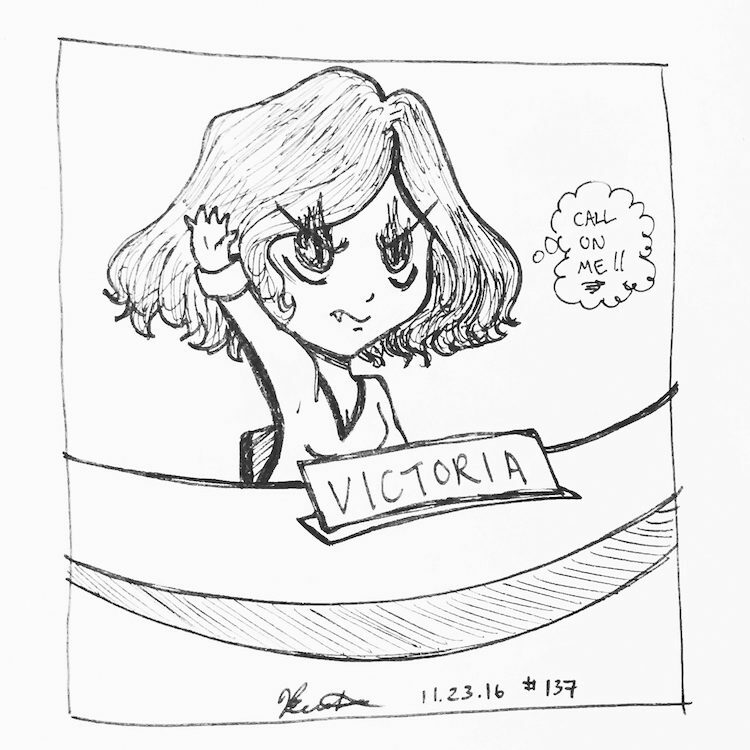 For me, it’s getting better at drawing, which is something I’ve always wanted to do.” Follow Victoria’s art challenge on Instagram.